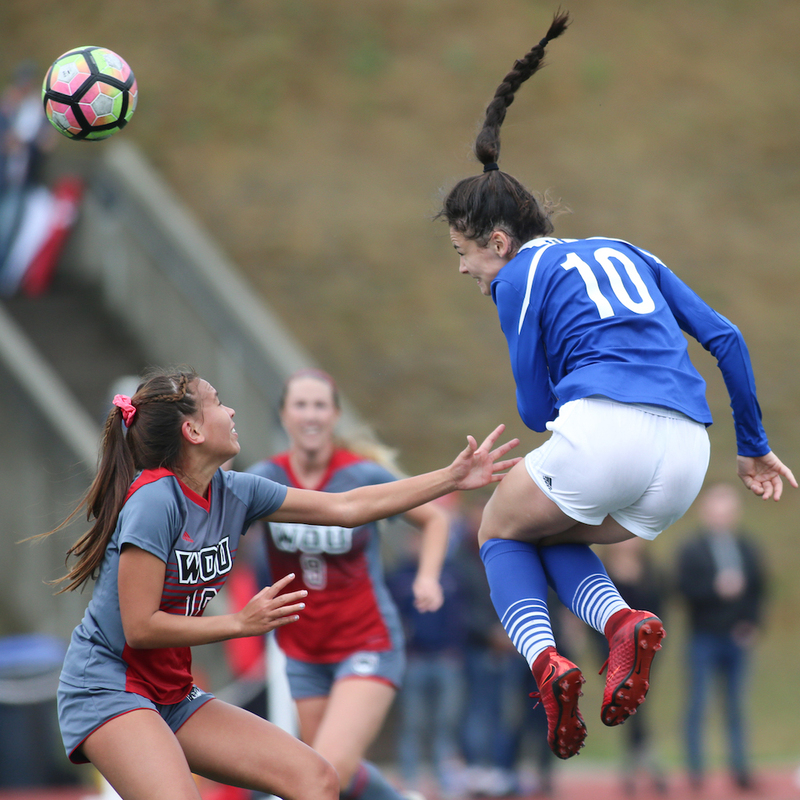 BURNABY — Jenna-lee Baxter set the tone early, then helped to control it the rest of the way, as the Simon Fraser Clan opened the Great Northwest Athletic Conference season with a dominant performance in a 4-1 win over the Western Oregon Wolves on Saturday at Terry Fox Field. “I’m proud of the way we came out on our conference opener and the speed at which we played today,” said Clan head coach Annie Hamel, whose team took a 1-0 lead in the seventh minute of play on a goal by Baxter. After her opening salvo, Baxter facilitated with expertise the rest of the way, and the level of chemistry in her partnership with a finisher like junior forward Emma Pringle showed its quality. Baxter’s cross in the 31st minute led to a Pringle header and a 2-0 lead at the half. The Wolves pulled to within one goal on a deflection in the 63rd minute by Alexie Morris. But nine minutes later, Pringle got it back on a feed from Baxter for a 3-1 lead. Freshman Teagan MacKay scored her first goal in the 80th minute to make it official and afterwards tipped her cap to Baxter’s presence. MacKay herself was thrilled to find the back of the net in her first conference game. 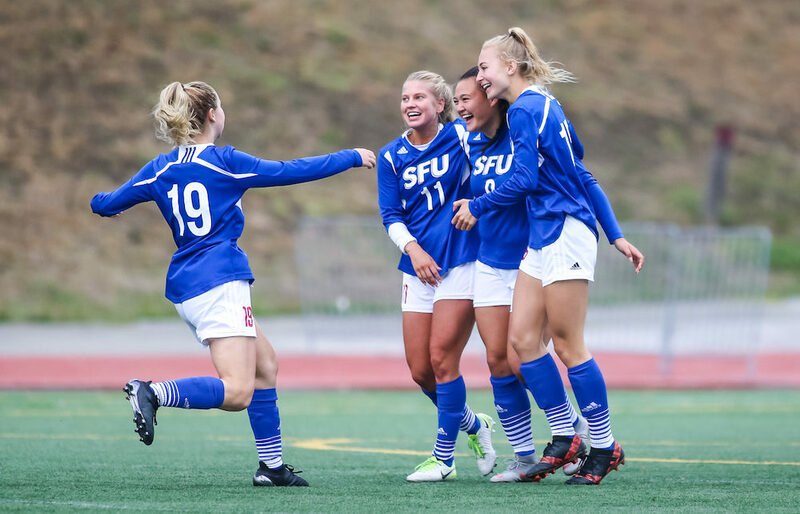 SFU is back in action one week from today in Bellingham against Western Washington. It’s next home game is Sept. 29 against Central Washington.